The most recent International Search Summit took place last week in London and covered a wide breadth of areas within the topic of international SEO. From geo-targeting to content outreach to the latest stats on global search and internet usage, there was a lot of useful and interesting information to take away from the event. While Google is the most popular search engine in most of the world, Yandex has a majority market share in Russia, Naver rules in South Korea and Baidu leads in China – so make sure you’re considering these engines when planning search activity. People are increasingly using their mobiles to surf the web – in fact, in South Korea mobile search is now more popular than PC search. Google’s search algorithms tend to get launched in the US and UK before being rolled out in other markets. Ensuring that your website and content comply with potential upcoming algorithm changes in other markets will future-proof your business and give you an edge over your competitors. With Google’s recent Penguin algorithm penalising over-linked pages, it has become very important to produce high-quality content that people want to view and share naturally. You should resist the temptation to simply translate content from one language to another, however – what works very well in one market might not be popular in another. Don’t be afraid to approach the ‘big boys’ in your industry when you’re looking for places to distribute your content – you may be more successful than you think! It is possible to use your website’s domain as a geo-targeting signal. There are several options, from country-code top-level domains to subdomains to subfolders. Each option has its own unique pros and cons, so you should investigate what’s best for your business’s needs. While hreflang is a very useful tool for international websites, it shouldn’t be used indiscriminately across a site, only on those pages which have a direct equivalent in other languages. Translation and localisation should be undertaken by native speakers of your target language, as they will have a natural understanding of the phrases that are used and searched for. Combining SEO and Translation into the same process will be more cost and time efficient as relevant keywords can be integrated into the localised content from the beginning. 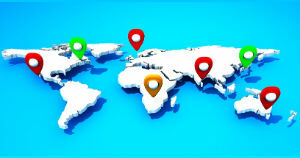 If your website is targeting multiple markets, it is important to conduct usability testing for all of these markets separately as this can highlight cultural differences between the way people search and what they find problematic, allowing you to make improvements that are appropriate to each market. Research has suggested that you only need 5 usability testers (per market) to uncover around 80% of all problems. Small details can make a big impact on your site, and localising every element is vital. For example, clothes sizes will vary between countries – and failing to offer the most appropriate options for each market will negatively affect performance. From looking at patterns of behaviour, it is possible for keyword modelling to predict how people construct keyphrases across multiple languages. Although Google Translate has improved drastically for computing terminology, popular music, film names and common colloquialisms, it still produces incorrect results for lesser-known and industry-specific phrases, and does not understand syntax, grammar and spacing. 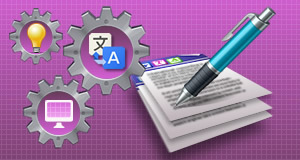 Use online translation tools tactically! 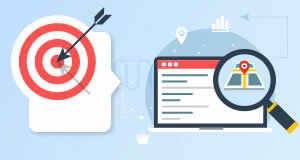 Make sure you are targeting your ads to your audience – use the appropriate language, make sure your ads and landing pages match, and set the correct target location on your PPC account (or leave it as worldwide if the ad –and product/service – really is applicable all over the world). As mobile is increasingly important, we need to track it effectively. Check out Universal Analytics for cross-device measurement. Share analytics data between departments and countries – often people will only have access to a specific set of data, so could miss out on valuable insights by not seeing the bigger picture. China’s current B2C Ecommerce Spend is estimated to be around $180 billion – an increase of 65% in one year. This makes it the second largest market after the US – but it’s gunning for the top spot. This is a huge economy with massive potential for international advertisers, especially as competition is still relatively low compared to other countries. Russia’s internet penetration may currently be low (51%) but it is growing faster than almost all other European countries, so targeting the Russian market is a great investment for the future. South Korea has the most mature smartphone market in the world, and more than half of South Korean smartphone users spend more than 2 hours online on their devices per day. If you are targeting this market, you need to ensure you have a mobile strategy. So there you are – some key takeaways that every multilingual search marketer should know! Want to learn more? Check out the upcoming International Search Summit events for 2014!